Stop Spanking hasn't added a story. Hillary's story is an American story. One in three Americans report having been physically abused in the home as children. Hillary recorded her father brutally beating her with a belt, a video that was viewed by over 8,000,000. As a result, she appeared on Anderson Cooper, Dr. Phil and the Today Show. But in the end, her father was suspended with pay for a year, only to be reinstated as Family Judge in the Texas Courts. Hillary talks about the effects of growing up with spanking that eventually crossed over to "criminal" assault in her adolescence. Is spanking a gateway to physical abuse? This film investigates the idea of a "fine line." Does spanking really alter brain development and make us more violent? So what does she do? 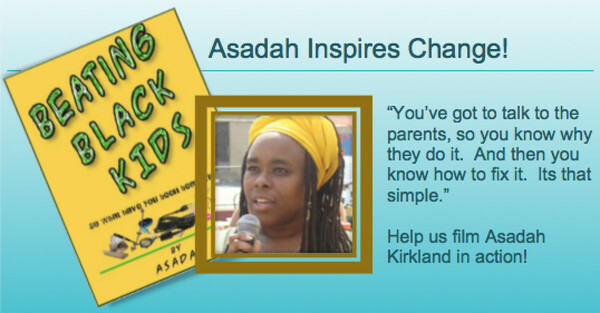 She writes a little book called “Beating Black Kids” and starts a grass roots movement to teach her community how to “raise our skills, not our hands!” Asadah inspires parents to create a dream for their children where they can grow up with passion and courage, rather than fear. She helps her community imagine raising powerful and loving children who can be leaders rather than followers! How does Asadah inspire change? Let's follow her into the lives of the parents she works with to see how she does it. Asadah says, "You've got to talk to the parents, so you know why they do it. And then you know how to fix it. Its that simple." We’ve interviewed delinquent children, neuroscientists specializing in early brain development, and experts in the field of child abuse. 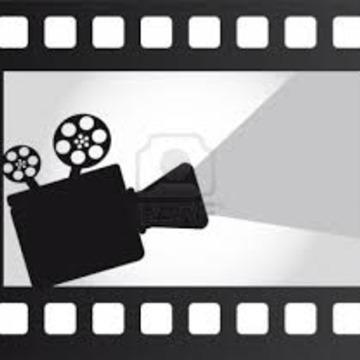 Our film seeks to answer, “Are children more aggressive today, because parents are too permissive and soft? Or is spanking actually a gateway to criminal child abuse and juvenile delinquency?” But more importantly, we want to help show parents that there is a BETTER way! Stop Spanking hasn't posted any updates yet. We want to recognize your support on our Facebook. If you would like, email a picture of yourself and we will post your picture as a contributor on the StopSpanking Facebook page. Here is a sample of the Facebook Post we will create for you! We would love to acknowledge you on our film in the credits. You also will be invited to the premier release of our film in Bellingham, WA. Stop Spanking is managing the funds for this campaign.